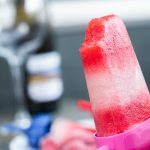 Adults only, these Strawberry Wine Ice Pops are a sweet treat on a summer's day and look great for your entertaining table! It is summer! I don't usually love summer: my day job is busy and stressful. But I'm trying to reframe and enjoy the long hot days and take some time for myself. And spend a little time with you guys. 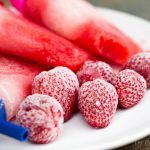 Maybe over Strawberry Wine Ice Pops and Watermelon Stacks. We can get Raj to cook us some ribs too! 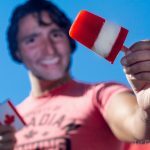 Happy Birthday Canada!! Did you know Raj and I are Canadian? And Canada is celebrating a big birthday this year. We are still a very young country: 150 years old! I think we look pretty good for our age! I think because we are west-coasters and British Columbia didn't join the confederation until 1871 (not 1867), we can keep celebrating this milestone on a technicality! Who doesn't love a good party? BC was the sixth Canadian province, joining the confederation July 20, 1871. The internet is amazing and I had a lot of fun finding these tidbits (or “Tim Bits”, what we call doughnut holes here in Canada). 1. I had to search a bit to fact check this: actress Pamela Anderson was called Canada’s Centennial Baby, as she was the first baby born in the nation on its 100th birthday. Anderson was born at 4:08 am PST on July 1, 1967, in Ladysmith, BC. In this huge country, the first baby born wasn't until 4:08 am PST? And Baywatch babe Pamela Anderson is 50? 2. Alcohol was prohibited in British Columbia from 1917 to 1921, the shortest prohibition period in Canada! Many of the well-off families in B.C. in the 20's were Rumrunners supplying our southern neighbours with much-needed libations and liquor! 3. Sasquatch sightings in BC go back over 200 years. Even thru prohibition people claimed seeing Sasquatch, or perhaps sasquatch-eye. What would be the plural of Sasquatch be anyways?? 4. The last spike of the first transcontinental railway was placed on November 7, 1885, in Craigellachie… in my younger days I may or may not have peed on this national landmark on an early morning road trip home from a party night in Banff (in Alberta which has a younger legal drinking age). 5. Only 30 countries are larger than the province of BC. Making exploring our big beautiful province a task! We are the only Canadian province to share two borders with the USA. South is Washington State, and North is Alaska. Three, if you count Point Roberts, WA (look how cute it is!). 6. Ron Sherk has chosen to sell his home and possessions and has chosen to become a nomad. He has spent the past 4 years exploring our beautiful country by bike, canoe, and foot! I can only imagine the incredible scenery that he's witnessed. Check him out at www.nomader.ca/. 7. 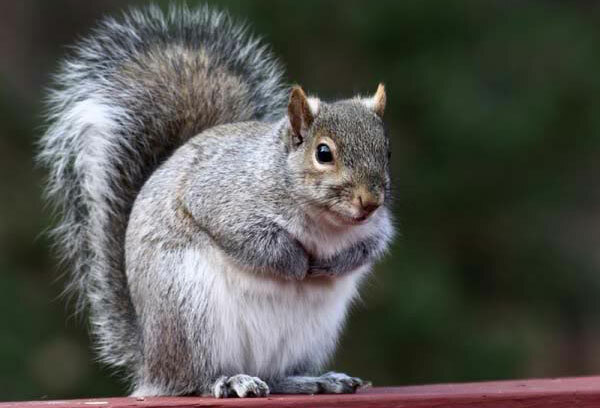 All of the grey squirrels in Stanley Park today are descended from eight pairs of grey squirrels given to Vancouver by New York City in 1909. This was obviously before people knew about buzz words and things like “invasive species“. 8. BC’s Osoyoos Lake is the warmest freshwater lake in Canada, and although it is a mere 45 minutes away from me, I have only ever swum in Osoyoos Lake once. I think I am in need of a camping trip!! 9. There are over 864 vineyards on more than 9,800 acres of land, which includes wineries and independent growers. There are more than 293 Wineries in BC. I am lucky to live in the midst of this beautiful wine country! 10. 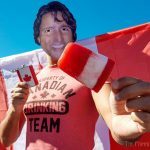 It’s boom time for beer in B.C. The number of breweries has almost doubled in just three years. At the end of 2011, the province was home to 51 breweries of all sizes. By this fall there will be more than 90. The recent openings have all been microbreweries providing small-batch craft beer. Cideries are also popping up all over BC, making out rich history in the booze biz, long running! 12. 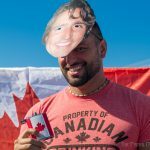 Speaking of Canadian television, Letterkenny is releasing its third season on Canada Day! This isn't a west coast fact, but I am super excited about it. Canadiana at its finest. Letterkenny saved my life when I was recovering from surgery! I'll be spending a day inside sitting in front of my AC binge watching Letterkenny sometime this week. 13. In 1955, logger Bert Thomas became the first person to swim the Strait of Juan de Fuca between Vancouver Island and Washington’s Olympic Peninsula. During his swim, he was sustained by rum and coke funnelled to him through a garden hose and lit a Cuban cigar as he backstroked to shore. 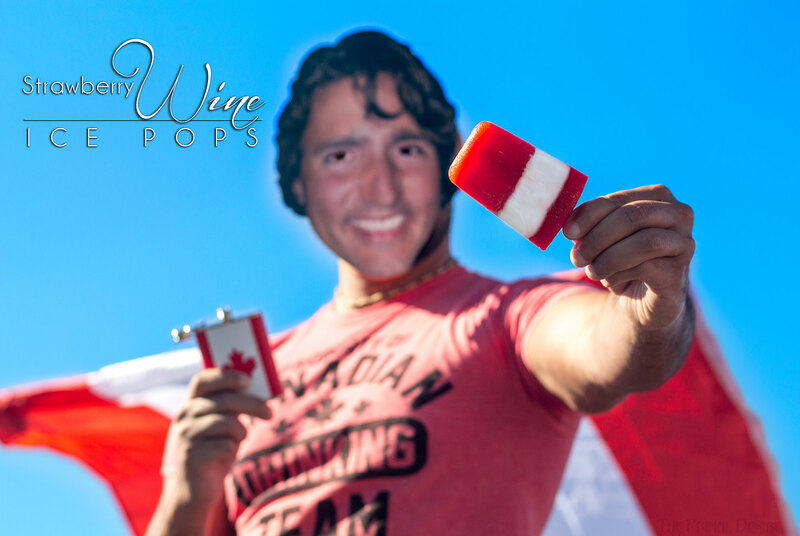 He could have skipped the smoking and funnelling by enjoying one of these delicious Strawberry Wine Pops! Combine 2 cups of strawberries with 1 1/2 cups of wine, and blend well (red layer). 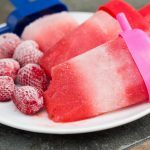 Pour into the bottom third of the popsicle molds and pop in the freezer for 1 hour. Set aside the remaining red mixture to layer on top. 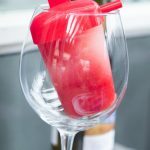 Blend remaining wine with powdered coconut milk. This will give you the white of your Canadian flags, but is entirely optional. Pour over the already frozen (or mostly frozen) strawberry wine, (another third of the way). If you're ballsy you can then carefully spoon in the remaining strawberry mixture to fill the molds (they are different densities, so you may be able to get away with it. Otherwise, let the second layer freeze for an hour before adding the final layer. Insert sticks and freeze well for 12-24 hours. Serve in a wine glass with additional wine, or straight off the stick. 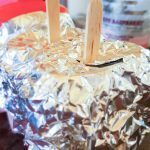 If you're layering these then be sure to insert the popsicle sticks from the beginning: cover the top of the molds with aluminum foil (after you've poured in the first layer and pierce with the sticks. The foil will hold the sticks upright and in position. Hi Ruth! I do have the day off! Whoo hoo, we used Coconut milk powder so the wine looked white, without giving it much taste. I’ll make sure the recipe has that clear! Thanks! 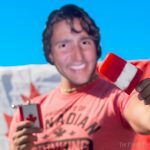 Happy Canada day to you!! Lol, the real question is how did we get a picture of him with his shirt on! LOL those were fun facts to read through. Gotta love #3. 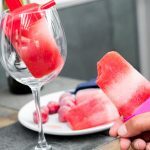 I don’t drink, but I’m sure these popsicles are super refreshing and yummy! Yeah, Holley had fun researching those facts for sure! I’m sure you could sub the wine for fruit juice, btw. LOL your photos are HILARIOUS! But seriously – what a perfect recipe for summer! Haha thanks Tina! They were fun to take for sure. haha, I loved this post! Enjoyed reading all of those facts. Learned a lot for sure. And the popsicles sure look delish. If I made them I’d have to make sure I marked somewhere really big “ONLY for mommy and daddy” or else my kids will be having a great time eating them! ha! Yum yum yum! You have officially spoken this momma’s love language 🙂 Such a pretty color too! I love those fun facts! These popsicles look awesome. So much yes to the addition of wine. What a fun post! I love all the facts 🙂 These pops look so refreshing and delicious! These look so yum ! Love the color and the layer as well ! The layering took a few attempts! Thank’s for enlightening us with those fun facts. Canada is a beautiful country indeed. We hope to be back to visit soon. HILARIOUS! … Happy Canada Day! Love the boozy treats. I don’t drink alcohol but if I did I can imagine how refreshing this would be!!! Wow, these pops sound great. And I’ve wanted to visit BC for a while, but now I REALLY want to! So many great things to see!